M. R. James spent 35 memorable years writing and editing material for Bowhunter magazine, the publication that he founded in 1971. 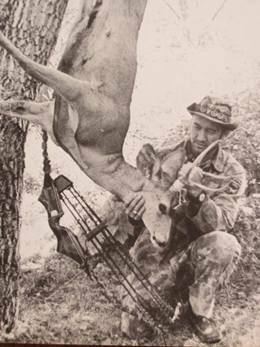 Under his editorial direction, Bowhunter evolved into the most successful special-interest periodical in archery history. M.R. 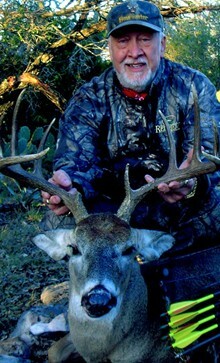 is a living legend in bowhunting circles, and is still living his lifetime of bowhunting experiences. 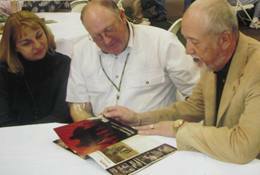 Leading by example, he has made vast contributions to the education of bow hunters through his writings and through encouraging others to share their experiences in the written form. 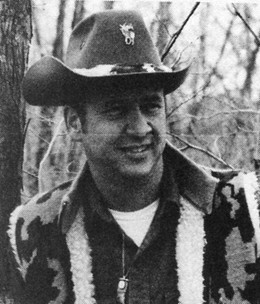 Born under the zodiacal sign of "The Archer" in Wabash County, Illinois in 1940, M.R. traces his interest in archery to when he crafted his first crude bows and arrows from native saplings while still in grade school, and by the age of 12 had saved enough money from farm work and household chores to buy his first "real" longbow and arrows. 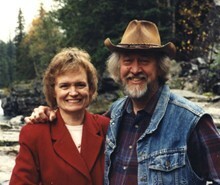 While a college student, he began to write and sell short stories and articles to national magazines. 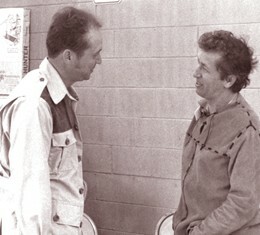 His writing career was nurtured by another Hall of Famer, Roy Hoff, the editor of Archery Magazine. 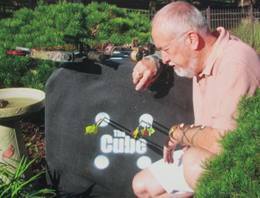 His byline then began to appear in the nations leading archery and outdoor publications. His biography is listed regularly in Who's Who in the West, Who's Who in America and Who's Who in the World. Today M.R. James continues to pursue this dual passions, writing and bowhunting. He tirelessly promotes the sport while traveling extensively, serving as an informed and eloquent public relations emissary for the entire North American bowhunting community. 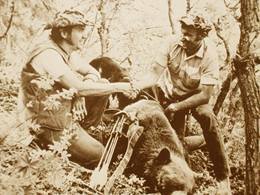 1971 - Far left photo is M. R.'s first Colorado Black Bear taken with bow. 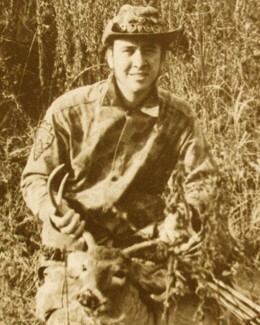 Other photo is of Mule Deer taken also in 1971 in Nebraska.